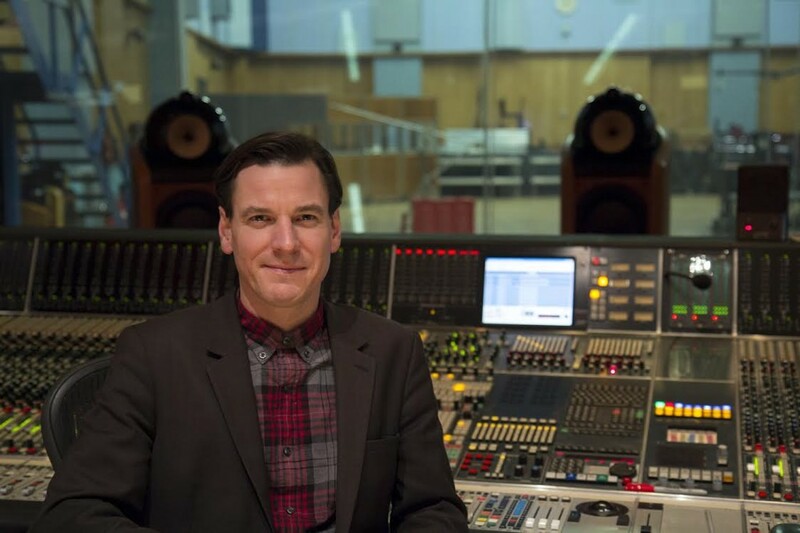 My quest for more interviews recently took me to Abbey Road Studios, where my friends at Waves had put me in touch with their Head Of Audio Products, Mirek Stiles. A veteran employee of the legendary studio since the 90s, he’s been around long enough to offer some comprehensive insight into the workings of the place, as well as fill me in on the acclaimed Abbey Road Collection of plugins that the studio has partnered with Waves Audio to create. Hi Mirek. It’s a pleasure to be chatting with you. Can you tell me about your audio background and how you came to work at Abbey Road Studios? When I was around fourteen, I started to think about what I wanted to work with. 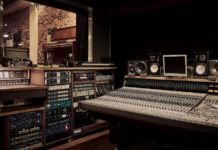 I was first exposed to the knowledge of recording through documentaries and music videos at the time, where you could see what consoles and studio spaces looked like. I was fascinated by it and wanted to explore that avenue. There was a small local recording studio in Barnet, where I lived, which was called Liberty Hall, and they were offering a recording course that I ending up taking. It was based around eight-track tape machines, with a few bits of outboard gear, and was a twelve-week course that gave me a proper taste for what recording was about. Following that, I looked around for music-related college courses, and ended up doing a course at City of Westminster College in Paddington for a couple of years. After that, I went through the standard routine of sending out letters to studios, and got the usual stock response back saying, “We have no positions“. So I was kind of in no-mans-land. But eventually I got a job in a local pro audio shop. They happened to have a high turnaround of intern kids that were in their early teens. One of them randomly said to me, “There’s a job going at Abbey Road, and I’m going to apply “. It came out of the blue, and I didn’t even know if he was telling the truth, but I figured “nothing ventured, nothing gained “. So I called up Abbey Road out of the Yellow Pages, and explained that I wanted the job. After talking for a bit, they said “Why don’t you come down to the studio for an interview? “. I got the job following that. I think I was the first official runner at Abbey Road. Prior to that, they would just use whoever was around to fetch coffee and do other tasks. But once I came on, it became my official job to run errands for clients. Interesting. And how did you graduate from being a runner to a higher position within the studio? Any spare time I had would be spent hanging with the engineers or sitting in on sessions. They’d let me sit in the back and observe things, and I’d help with session setups too. Eventually, a position opened up for an Assistant Engineer, and everyone moved up the ladder a bit, and I got my next position as an Assistant Engineer. What type of projects did you assist on during your engineering stint? I worked on a lot of film scores, like all the Lord Of The Rings films, and other ones like Enemy At The Gate and Unfinished Life. I also worked on pop music like Nick Cave and the Bad Seeds, Paul McCartney, and Muse. For the Lord Of The Rings film, I remember we had a period where we worked for 80 days with no days off. So it was a lifestyle choice, as well as a job. And what happened next for you, after your engineering jobs? During that time, I came across an ad for a job in the Interactive Division of Abbey Road, which isn’t around anymore. It used to be for our DVDs, websites and that sort of thing. Seeking a breath of fresh air, I applied for that position, and became a DVD producer for three years, which was a great experience. Tell me about the Audio Product division that you’re responsible for at Abbey Road, and what your job involves. We’ve had an Audio Product division at Abbey Road since 2005, through which we created a series of hardware products with Chandler Limited, and used to have our own plugins prior to the Waves collection. We’d outsource the coding to a third party, and then we’d take over at the marketing stage. Unfortunately, those plugins are discontinued. Since we didn’t own the code, we were unable to rework and update them when it came to things like the introduction of 64-bit, the AAX format, and iLok. Softube were able to update the Brilliance Pack, but we weren’t able to get the others updated, and had to pull them off the market. As Head of the department I’m responsible for what some people might consider the mundane duties of planning budgets and release schedules for products, and administrative stuff. But I also get to dig through the Abbey Road archives in Hayes to find original schematics for equipment we want to model, which is fun, and I make sure to get them to companies like Waves. I also run tests on the equipment we’re modeling, and working with the parties involved to make sure we’re all on the same page. I’ve also done some recording for our drum libraries with Native Instruments. If I’m not the one recording, I need to find engineers, musicians, book studio time, etc. I also have to look into new business ideas and expand on what we can do with our brand, and I work with our Brand Manager for that. So it’s a varied role, and it’s exciting. How did you guys revive your position in the plugin world, following the discontinuing of your previous line? Basically, the management at Abbey Roads decided that they wanted to expand upon our audio products, so I was asked to join the team in 2011, since I had a background in both studio work and project management. We started by talking to Native Instruments, which led to our Abbey Road Drummer series, for which I came up with the concept of drums by the decade. We also have a grand piano plugin, the CFX Concert Grand, which we made with Garritan and released through MakeMusic. It’s a very lush grand piano that was recorded in Studio 1 here at Abbey Road. Let’s get into the Waves collaboration. How did that come about? Prior to me joining in the Product Department, those conversations may have already been ongoing. It was set in stone before I came. When I first got involved, I think the Waves deal was on the table, but it wasn’t signed yet. Once that happened, I started working with them on the plan for how we would proceed. One of my jobs, as I mentioned, was to find original documents of the gear that was being modeled and get them to Waves, after which they sent me some test recordings to run through the gear. 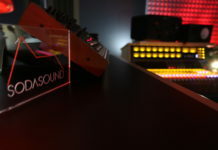 I’d send it back, and Waves would make rough builds of the plugins, and I’d compare them to the hardware by A-B-ing, and we’d tweak things until we felt good about it. When I was satisfied, we’d invite the Abbey Road studio engineers to hear it, and they’d give feedback on it. We all have different ears, so it helped to get multiple opinions. Today’s audiophiles, particularly those who grew up in decades past, would say that plugins can’t match analog gear in terms of sound. Given Abbey Road Studios’ legacy with analog recordings, why did you guys feel like contributing to the plugin world? First of all, there’s no point in sticking your head in the sand and pretending that the digital revolution isn’t happening; you’d be an idiot to do that. Our engineers love plugins and they love our old recording gear. So why not make emulations of them? Also, it keeps the legacy of the old gear alive. Abbey Road is the best of old and new. We have the cutting-edge equipment, great rooms and amazing engineers. We’re lucky to have the wealth of recording gear that was built by EMI from the 40s to the 70s. Most people won’t have access to this gear, and it exchanges hands for a lot of money. So it’s the best of both worlds for everyone. If the plugins aren’t as good as the hardware, it’s getting very close, and it’s going to happen. When you A-B between our plugins and the hardware, you’d drive yourself nuts trying to differentiate. Do you think plugins have the ability to displace the hardware in the long run? No. I think people like hardware because it’s tactile. It’s the same reason people like vinyl; you can hold it in your hand, and it’s a different experience. It won’t ever go away, and people will always need analog gear as a front-end to their DAW. Using microphones, pre-amps, compressors and EQs as a chain before you hit the digital world is always going to be standard. Out of all the Waves plugins, which would you say has been the most well-received among the public? Well, as an example, we released the Reel ADT plugin this year, and I wasn’t sure how it would fare; it almost felt like a risk. It’s an amazing tool that sounds really cool, but there’s a bit of education that has to be given to people about it. It’s not a channel strip or an EQ, so what is it? I was worried it might bomb if people didn’t get it. But it didn’t, and became a massive success! I’m very glad that people picked up on how good it sounds and how much fun it can be to use. Digital units have tried to do ADT in the past, and didn’t nail it, but this one worked. The Waves EMI TG12345 plugin recently came out. Tell me about that one. It was originally a modular desk, and Waves modeled a channel strip from it. It was the first transistor desk built by EMI. Before that, we had the REDD valve desk. Eight-track recorders were becoming the norm at the time, and the REDD desks were never designed to be used for eight-track recording. So we needed a new desk that was designed for that, and could use the new transistor technology that was popular at the time. So the TG12345 was built to be a big desk, and if you listen to The Beatles’ “Abbey Road” album it sounds sonically different from their earlier albums, which was largely attributed to the sound of the desk. That TG12345 was eventually broken down, and we had one of the channel strips for it, which is what the plugin is modeled on. We shipped the physical channel strip over to Waves in Israel, which was a bit worrying (laughs). I think it got stuck in Israeli customs for a few days. I can imagine what custom officials might have thought when they pulled out this odd-looking device that you don’t see everyday. Is the purpose of the TG channel strip to be used on all channels in a mix, to emulate how the actual desk worked? I’d use it on each channel. Without touching the EQ or compression, it has its own sound, and it accumulates the more instances you spread across the mix. I also use it on my master output as well. Same goes for the REDD or J37 plugins. Which was more challenging and time consuming for Abbey Road and Waves to create: the REDD desks or the EMI TG12345? The TG12345 was definitely more challenging than the REDD, because of the compressor section. The TG was the first EMI desk to have a compressor on every single channel, which was unheard of back then for a recording desk. So having a Dynamics section adds to the complexity of the modelling. How has Abbey Road adjusted to the changes brought about by digital technology, as well as the rise of the bedroom producer, which has led to many commercial studios closing down? One aspect of our continued existence is that we do a lot of film music and scores. The story goes that in the late 70s, Studio 1 started to become empty and was low on bookings. It had traditionally been used for classical recordings, and that period had come it’s end. We weren’t expecting rock or pop bands to book the space because of its size, and so we were faced with a decision. At one point I think it was proposed that it would be divided into four smaller pop studios, which was the popular studio format at the time. That would have been a disaster in the long term, because we wouldn’t be here now if we’d done that. But luckily, the then-studio manager, Ken Townsend, said that we couldn’t lose the space. There was a film scoring company at the time, called Anvil, who were going to loose their film scoring space, so Ken said to them, “We’ll provide a space for you guys, along with the engineers and gear, and you bring us the work“. The first film we did was Indiana Jones and The Raiders Of The Lost Ark, which was in 1981, and since then we’ve gone from strength to strength. We did the Star Wars prequel trilogy, Aliens, Braveheart and things like that. Last year we did Skyfall, Gravity and The Hobbit. With the growth of the indie side of the music industry, has your clientele shifted over the years, or do still you retain the same kind of rock star names and major labels projects that have been historically tied to Abbey Road? We still work with big artists and major labels; not so much with smaller artists though. People’s recording budgets are getting smaller, so coming to a big facility like this doesn’t work for everyone. How has the recording gear at Abbey Road Studios changed over the years? 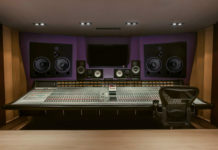 Abbey Road has always been at the cutting edge of technology, so in terms of the mixing consoles, we have a digital Neve Gemini in the penthouse studio, a state-of-the-art Neve 88r console in Studio 1 and 2, an SSL J series in Studio 3, SSL Duality in Studio 52, and Pro Tools rigs everywhere. As technology changes, we have to adapt and provide the latest for our clients. But we do keep the old stuff as well, because sometimes people want to use tape echo or an old TG desk. So we have the best of old and new, like I said before. Cool. So what does the future hold for you guys? Can you tell me about what things you’ll be working on as time moves forward? 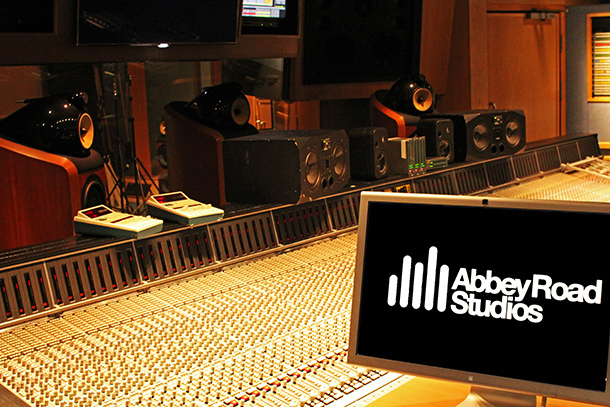 There’s Abbey Road Online Mixing and Online Mastering, which is a service where anyone around the world can upload a track and it will mixed and/or mastered by our engineers, and sent back to the clients. Both have been massively successful, though it’s not my department, so I can’t take credit for it. In terms of plugins, software and hardware, we’re going to expand on that. There are many other interesting areas of growth in the pipeline that I can’t get into at the moment. These are exciting times for Abbey Road Studios!